Hydroponic Gardening Information - 10 Benefits of Hydroponic Gardening ~ Hydroponics - Soil-less Gardening. The problem of over and under-watering is eliminated. For those of you who continually rot the roots of your plants by over-watering or have plants that are gasping for a drink – this is great news! Okay, mine are the plants that are gasping for water. No soil is needed. This is a Godsend for those of us who happen to have absolutely terrible dirt. With hydroponics, you can have a garden that produces bumper crops without the expense of amending the soil or having large quantities of soil brought in. On a much larger scale, this makes hydroponics great for locations such as Antarctica, atolls, deserts, and even one day - space stations. Soil borne diseases are eliminated due to the fact that there is no soil to harbor diseases. The use of pesticides is decreased greatly because of the soilless growing conditions. 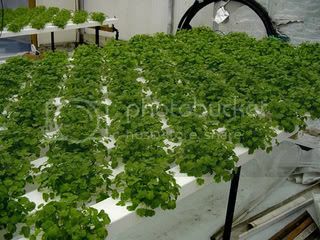 The cost of producing produce with hydroponics is estimated to be 20% less than using traditional growing conditions. The plants grown hydroponically receive a higher degree of nutrition and more balanced nutrition while taking up less growing space and using less energy. Fertilization is much easier due to using simple timers that pump the nutrients to the plant root system at regular intervals. Maintenance of the plants is very easy. The gardener’s labor is cut down greatly because once the system is set up, it pretty much maintains itself. Weeds are practically eliminated. No daily weeding or dragging the water hose to the garden. Plants can be grown practically anywhere. Space is needed for the pots and with a grow light, you can even produce a crop in your garage. You no longer need room for a huge garden plot that needs a certain amount of direct sunlight each day. Higher yield of produce. Less space, less work, better results. Hmmmm….. 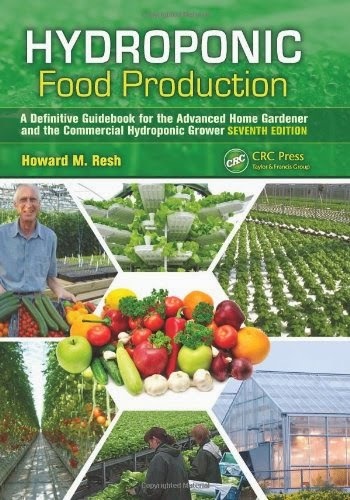 The list of benefits to hydroponic gardening is extensive and I could go on and on. With more hydroponic gardening information available than ever before and with benefits like these, no wonder it is becoming increasingly popular.